We are a leading Hollow Shaft Helical Geared Motor Manufacturer and Supplier based in India. The Hollow Shaft Helical Geared Motor provided by us is made using high grade material and advanced manufacturing techniques. 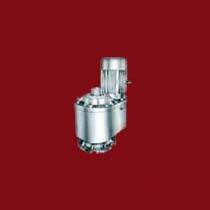 These Hollow Shaft Helical Geared Motors are suitable for performing various stirrer duties. We offer Hollow Shaft Helical Geared Motor at very reasonable rates.